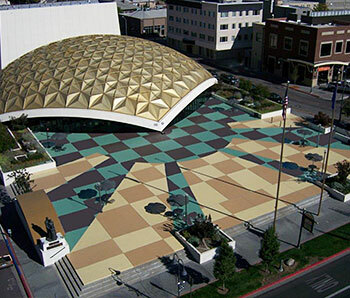 In April of 2010 the Pioneer Center for the Performing Arts installed a new solar panel array on the east end roof, on the three story tall portion of the building. 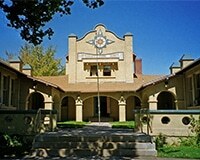 Funding was provided by NV Energy’s Solar Generations incentives program, the State of Nevada’s Commission for Cultural Affairs (the granting body associated with the State Historic Preservation Office), and a Challenge Grant from the City of Reno Arts and Culture Commission. 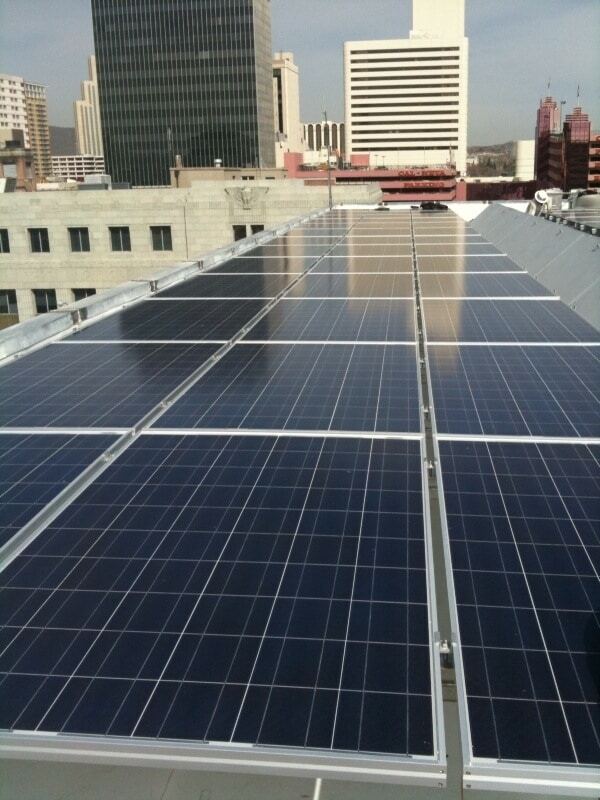 The new solar panels will produce 36,000 – 40,000 kWh per year. That’s about the same amount of energy needed to power 3-4 homes. Or in other words, that amount of energy can run almost 1,000 XBoxes for a year!